All 18 Selfridges coupons have been verified and tested today! Welcome to your one-stop shop for inspiration and trends in women’s and men’s fashion. When you visit the “We Love” tab on the Selfridges main menu, you will be introduced to a weekly dose of fashion in motion. You’ll get in on things like the latest styles, new arrivals, beauty tips and trends, seasonal looks, style profiles of important women, and arts and culture highlights. Sometimes you’ll even get in on a Selfridges coupon. If that wasn’t enough, Selfridge also recently launched a broadcasting channel called Hot Air, which is packed with inspiring audio and video content. So, get set, on your mark, go check it out! Selfridges has taken a stance to help the environment with the items sold online and in store. You can rest easy knowing that all beauty products sold at Selfridges show as much respect for animals as they do to your skin. In addition, Selfridge clothing is made sustainably (oftentimes with organic cotton) and real fur is never sold. In the future, Selfridges will introducing a new launch for ways to buy more sustainably. This includes a new Responsible Leather Label as well as highlighting accessories created using environmentally responsible production methods. So stay tuned; change is on the way and Selfridges needs you to help make it happen. When you sign up for emails, you get in on important product launches, the latest fashion news, sales, trend updates, and the occasional Selfridges coupon. All you have to do is provide your name, email address, and country. A prompt will show up when you visit the Selfridges homepage. Then you’re on your way to saving more money! One of the best ways to snag a deal is to simply check in with Selfridges online often. The site regularly offers sales and promotions (some are automatic sales while others provide a Selfridges coupon code). If you want to make sure you aren’t missing out, check in with Selfridges whenever you can. Plus, you get to see what’s new and noteworthy! Another great way to save some money is to shop the sale section. Selfridges offers a wide variety of sale options including women’s apparel, accessories, and shoes, beauty products, men’s apparel, and accessories, kid’s apparel, and even home décor and kitchenware. There’s something for everyone at a more affordable price. It’s a good day. You found something you can’t pass up and you have a Selfridges promo code to redeem? Finish your transaction and shop again soon! It’s as simple as that. 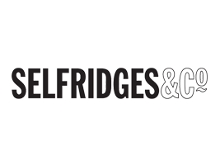 Now go find yourself a Selfridges promo code and shop until you drop! Download the Selfridges app and you will have the world of fashion at your fingertips. Make your shopping experience more personalized by choosing all of your favorite brands and categories. The app will do the work (so you don’t have to) and find all the products you’ll love and deliver them right to your home page. You can also create a wish list of up to 50 of your favorite items, which will automatically sync across all online channels including desktop, mobile, web, and app. Plus, you’ll be the first to know about Selfridges sales and when you can cash in on a Selfridges coupon code. When you sign up for Selfridges Plus, you sign on for an easier experience. You will receive a year of unlimited deliveries and savings on shipping to the US since Selfridges is based in Europe. So go ahead and treat yourself—quality brands and products all with unlimited worldwide deliveries for just $55 per year. To sign up, visit the Selfridges website and click on the prompt that reads “Sign up to Selfridges Plus for unlimited deliveries” in the top center of the page. Make sure you have an online account with Selfridges before signing up. Then you’re all set!